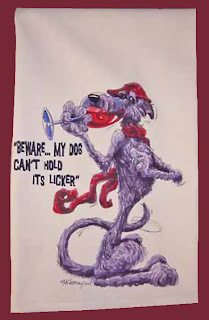 Today is a day for Scottish Deerhounds everywhere to celebrate. Welcome to Scotland! And if you happen to be in Scotland today - there are many activities and attractions you can visit free of charge. Visit the website above to discover some of the many live music, party, ceilidhs taking place accross Scotland. Or visit some of these links below. or a Highland Newspaper or something from the North East of Scotland. To all – Love from The Rogue and Scotland! 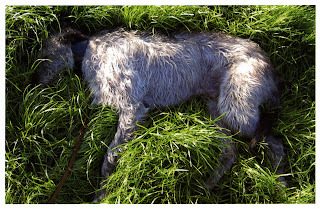 So you think it’s easy being a Deerhound in Scotland? Well here is your chance to visit the beautiful Border country and live the life of a Lowland Scottish Deerhound for the day. An event which will create a lasting memory of beautiful scenery, tough physical challenge, enjoyable partying and hospitality, a stately home and the chance to obtain a medalion as if you were a prize Scottish Deerhound. I know I’m up for it. March the 1st 2008, see ya all here at the Mighty Deerstalker. Sign up now! Ohh . 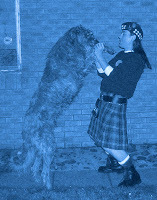 . . and tell them Rogue the Scottish Deerhound sent ya! For all who are not members of the Deerhound Club - there is a little cartoon strip that you may enjoy, featured in each issue of the club newsletter. The copy below was never printed, but gives a taster for all who may be interested. 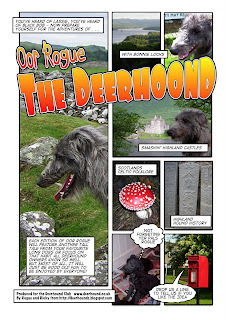 Each strip is exclusive to the magazine so you will have to obtain the newsletter through the Deerhound Club. If you wish to contribute ideas tho’, just leave a comment for myself, the Rogue . So the Scotland Football team were pipped at the post for the 2008 Euro Finals by Italy, but rather than drown in our sorrow, we will move on and look forward to winning the world cup in South Africa 2010 - Let’s hope for a good competition play off draw this coming Sunday. But see below! Here’s a nice winning deerhound image from the Corbis’ Creatives Behind the Lens contest. Entitled ‘Billy and Freya’ by Jamie Colonna (Go to slide 16. I don’t quite get the title as there only seems to be either Billy or Freya in the image). Visit the link to enjoy other images. Deerhounds win every time. Perhaps we should don the Scotland Strip and get on the park ourselves. For all across the world, who can’t join the Tartan Army at Hampden Park today for the Scotland v Italy soccer match - perhaps you would enjoy participating in the atmosphere of the crowd and at the same time help ‘children in need’ by downloading this song which features 50,000 voices of Scotland singing ‘Loch Lomond’ - the proceeds go to charity. CLICK HERE to get the song from I-Tunes. 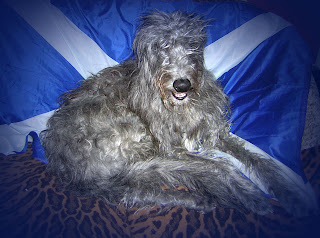 Sorry for the lack of posts of late, but with Scotland meeting Italy in the UEFA Euro 2008 Qualifiers - yes, our football world champions are meeting Italy tomorrow and the Scottish Deerhound Tartan Army will be there !